In his essay in Blindspot’s 2006 issue #32, Tim Davis wrote “people never read book introductions…,” a statement that, written more than a decade ago, unfortunately, continues to resound more than ever before and can be aptly applied to today’s “content” hungry landscape. We scroll rapidly through Instagram and eat listicles (like this one!) like Cheetos. Onto the next, onto the next, onto the next like an accelerated tangent of highway billboards in Ray Bradbury’s Fahrenheit 451. And defensiveness among countless photographers to write about their work seems ever present – just search “artist statement” into any Facebook photo group (yes we know, FB is for “old people” - go watch some YouTube "influencers," kids..) and you’ll hydrate yourself on the haterade for weeks. BUT! BUT! BUT! But the “don’t make me think” attitude towards writing is counterbalanced by a ton of thoughtful essays, interviews and long form think-pieces on the current state of photography, its evolution and key issues that tie it to the larger cultural landscape. Below are 22 pieces on photography that moved us, in no particular order. You’ll notice that many of the pieces we selected are heavy on discussion of “the gaze,” which seems to have garnered a renewed attention in criticism and popular discussion over the past few years, and likely has been on our minds gearing up for the BlueSky Curatorial Prize this May. Grab a couple coffees, mute Instagram for a bit, and have a read. Lindsay Metivier finds soul in fleeting moments. For the past few years, North Carolina-by-way-of-Boston-based Metivier has gathered her often random-seeming photos into an archive of quiet musings. On the surface, they might appear unrelated, but there’s a strange specificity to her chaotic eye. Cheap drinks in clear plastic cups beside a chlorine-green swimming pool. An obtuse circular imprint in a concrete slab. A blue paper card that reads “crisis” – found, or intentionally placed on a patch of grass (it’s unclear, and that’s fine.) 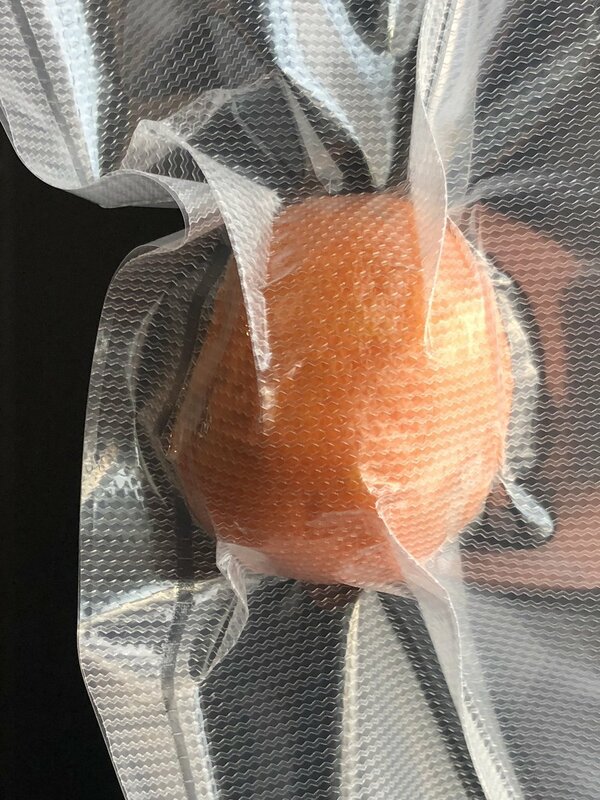 A barrage of sometimes fresh, sometimes moldy sun-soaked oranges and orange peels obsessively collected and sent to the artist from friends near and far. These pictures gather details from daily life and celebrate the charge below their arbitrary surface. Following her thesis exhibition earlier this year, I reached out to learn what brings her work together. In her latest series Swallow The Tail, photographer Elizabeth Hibbard addresses how pain and uncertainty manifest between various states of being: physical and psychological, intimacy and isolation, consumption and expulsion, desire and revulsion. Hibbard’s photographs are dark and swathed in inelegant natural light that captures and accentuates her state of unease, often peering through windows, doors and other structures in the home environment. They’re staged, and on one level bring to mind the 90s to early 2000s narrative photography of Gregory Crewdson, Anna Gaskell and Charlie White, but with more anxiety and less theatre. They look at how the construction of female identity may go deeper than external cultural and social forces, cycling into internal family dynamics. In one picture, shot at a voyeuristic angle through a bedroom doorway, Hibbard’s mother lays in bed, sewing hypnotically. It feels like a cryptic riff on a Norman Rockwell painting – a concerned look into a casual, repetitive, everyday routine. In another, Hibbard leans into her mother's arms while her mother peels a sheet of dead skin from her back. The pictures are loaded with these states of embrace, mimicry, consolation and confusion. I spoke with Hibbard about her work, influence, and how Yale – where she’s currently working on her MFA fits into it all. If But a Sunbeam Strikes Too Warm, an exhibition of 4 women making “post photography,” pulls apart humanity’s continuing urge to capture and contain. The term “post photography” has been rattling around since the early days of the “blogosphere.” It spiked in the early to mid 2000s, a recharged attention to photography’s alchemical possibilities (and limitations), high on digital and other forms of manipulation, which became the fuel for many conceptually leaning photographers. Think Lucas Blalock, Kate Steciw, early Talia Chetrit, and pretty much everyone in Charlotte Cotton’s comprehensive 2015 anthology Photography Is Magic. While this may seem like a flash in photo history for some, it has continued to push the medium’s ability to reimagine nature and its relationship to art and representation. If but a sunbeam strikes too warm, an exhibition at Portland, Oregon’s Melanie Flood Projects through early December keeps this discussion current with the work of Teresa Christiansen, Kate Steciw, Anne Hall, and Sarah Meadows. 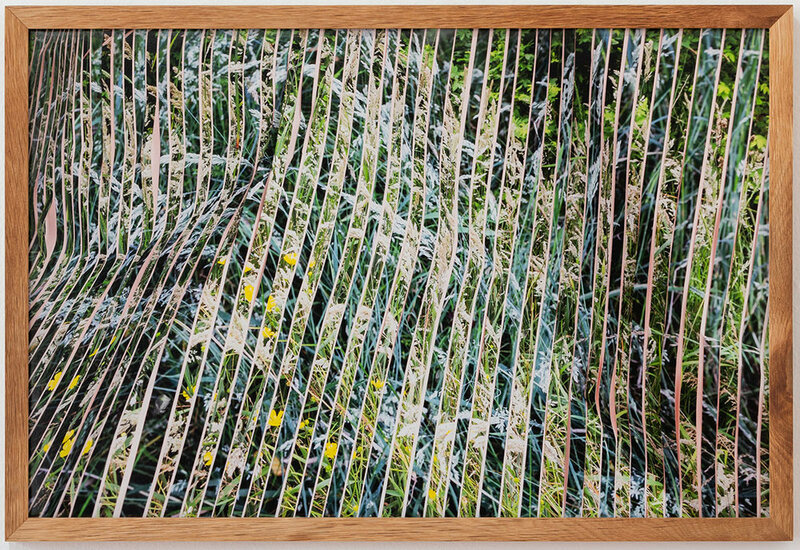 These photo-based artists use various manipulative – some analog, some digital, some a combination of both – techniques to alter how we gaze at nature and understand our stake in it. In a time in which incessant wildfires, environmental degradation and climate change-denial have run amok, this exhibition offers a critical and refreshing voice. I spoke with curator Melanie Flood to learn more.